Today I bring you my own tutorial for making a Garbage Pail Kid sticker/card. I even provide the logo and font! So, I was inspired to make one of these Garbage Pail Kid ‘parodies’ as they’re know. Also known as ‘Garbage Parody Kids’. Here, for those of you old or weird enough to remember the movie Eraserhead, I’ve fused the two. 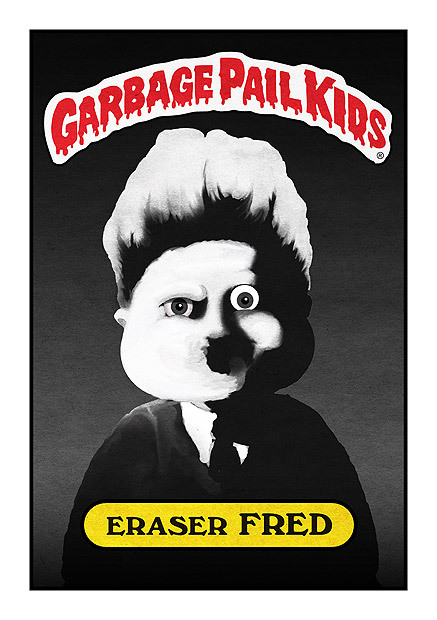 Some people have made Goonies GPK paintings, some have made He-Man versions and so on. I love the idea and I totally loved collecting the stickers many years ago. 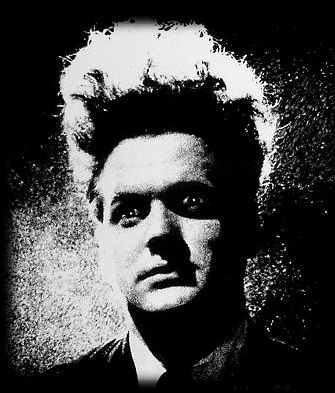 To the left is the iconic image I’m referring to from the movie Eraserhead. For those of you who are wondering what the film is, what it’s about and whether it’s worth watching? Well, it’s David Lynch film which is a plus but it will make you go insane. I think that’s the point though. 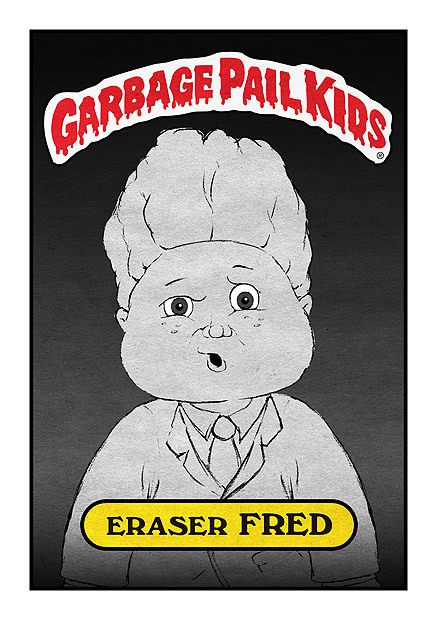 Anyway, before we begin I’ll provide the download link for the official Garbage Pail Kids logo as well as the font for the Kid’s name that goes along the bottom. Let’s get started. Click here to download the high res EPS Garbage Pail Kids logo. 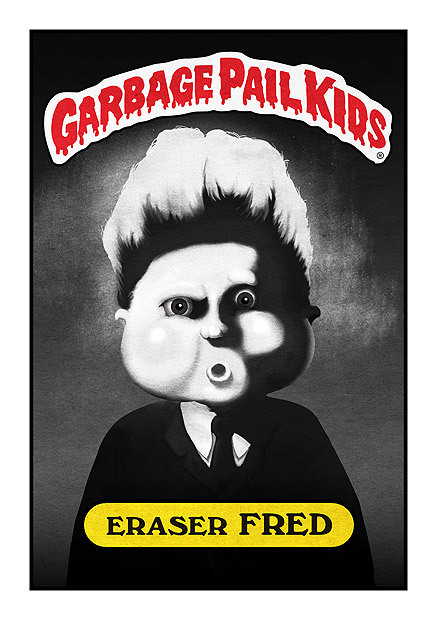 Stage One – Research: You’ll want to study a lot of GPK images on google images and any other resources/sites. 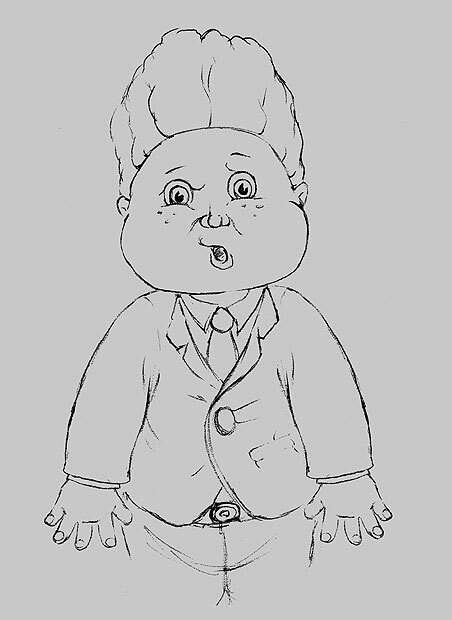 I found the best way though was to find a Cabbage Patch Doll image as the face is exactly the same and without expression i.e. neurtral. Stage Two – Sketching: I drew mine in a sketch pad. Remember those things? It’s quite essential I find in order to get the details and to move freely and loosely. You’ll be using your imagination for about 80% of the piece so you’ll need to be loose in the beginning! Stage Four – Placing him into the GPK branding: Next came making the document and getting hold of the logo and font – which was a bit tricky. Luckily I’ve provided them for you here! Stages five through to completion – painting: So here are the painting stages. Basically here I’m looking at the photo reference and, luckily for me, it’s just blacks, whites and greys. I have to block in the shadows then start to work it and work it until it resembles cohesive light and shade. I’m just looking at where light is hitting in the ref pic and copying that. I need to remember that light will also hit my guy slightly differently because his head is a Cabbage Patch Doll’s head! Few tweaks aside I’m pretty pleased with the result. First time I’ve done one of these! Took me about two days. Maybe a day and a half. I spent the half day drawing and scanning and researching etc. and then a full day painting in Photoshop. Ok, come back soon and don’t forget my RSS link at the top! Oh and please comment if you got anything out of this tutorial. Follow me on Twitter here. This entry was posted in Digital Painting Tutorials and tagged digital painting, eraserhead, garbage pail kids, GPK, tutorial. Bookmark the permalink. i tried to open the file .eps for the logo but could not do it. Is there another way i can do this-I teach HS and would love to do this in class. Thank you! This is brilliant! But the logo is low res that I downloaded ? Try opening it in photoshop at about 600dpi. It’s an EPS file, so it’s as large a resolution as you want.